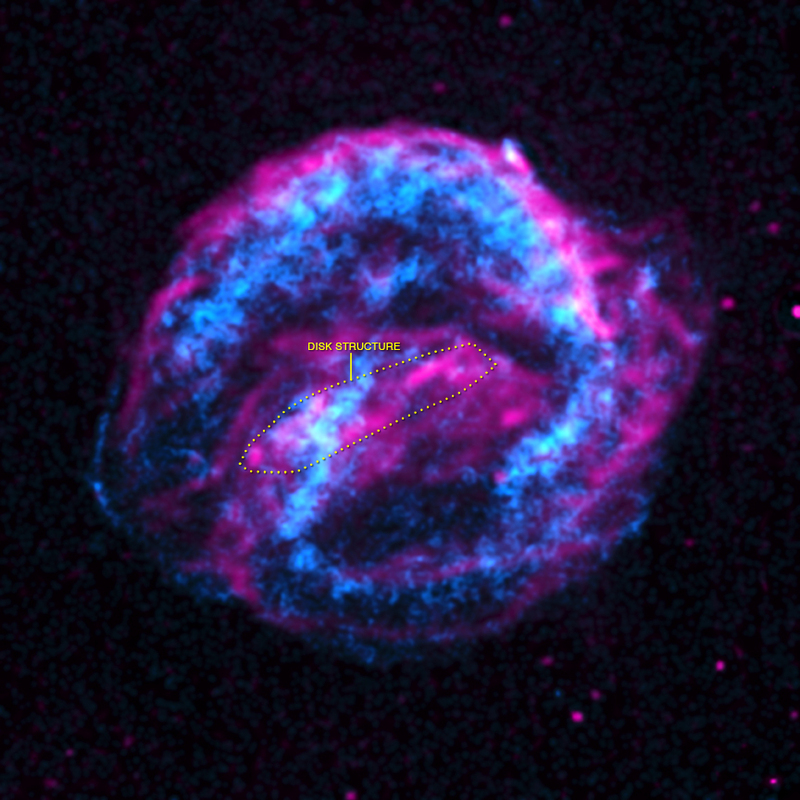 A long Chandra observation gives clues about the origin of the Kepler supernova remnant. Evidence points to the doomed white dwarf pulling material from a red giant star, not merging with another white dwarf. The explosion that created the Kepler supernova remnant was seen in 1604 by the object's namesake and many others. 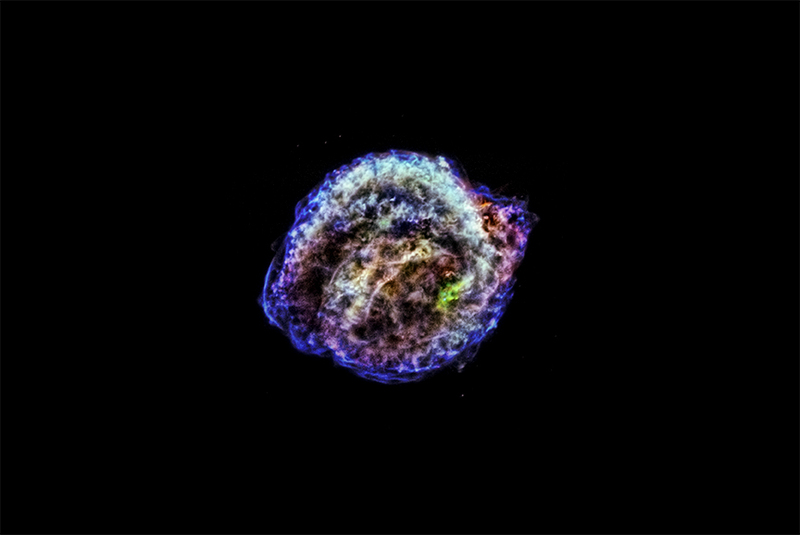 This is the remnant of Kepler's supernova, the famous explosion that was discovered by Johannes Kepler in 1604. The red, green and blue colors show low, intermediate and high energy X-rays observed with NASA's Chandra X-ray Observatory, and the star field is from the Digitized Sky Survey. This composite figure also shows a remarkably large and puzzling concentration of iron on one side of the center of the remnant but not the other. The authors speculate that the cause of this asymmetry might be the "shadow" in iron that was cast by the companion star, which blocked the ejection of material. Previously, theoretical work has suggested this shadowing is possible for Type Ia supernova remnants. The remnant of Kepler's supernova, the famous explosion that was discovered by Johannes Kepler in 1604. Combining X-ray data from Chandra and optical data from Digitized Sky Survey. About 45 light years across. X-rays are red, green and blue and optical grayscale.